1. Before I went to earn my bachelor’s degree in Philosophy, I spent three years training to be a professional artist in a fine arts program. (I was a painting major.) Even now, I think if I went back to finish that last year, I could have a B.F.A. It took me two years to earn a Philosophy degree at my new university, only because I was lucky enough to have a lot of my credits transfer—and because I was willing to take four Philosophy courses a semester (on top of a language, which for me was classical Greek). 2. My favorite psalm is psalm 116. Aside from its obvious beauty, I’m not really sure why it has such a particular draw for me, or why it feels like “my” psalm. But I’m always especially moved when it comes up in the Breviary. 3. My patron saint is St. Genevieve of Paris—my real first name is “Jenna,” and my mother chose this as a diminutive form of my grandmother’s name, Genevieve. St. Genevieve was a consecrated virgin who lived during the fifth century, and she is credited with saving Paris from an attack of Attila the Hun through her prayers and fasting. I was consecrated on St. Genevieve’s feast day, January 3. 4. In studying theology, I’m much more of an “Augustinian” than a “Thomist.” I certainly appreciate St. Thomas Aquinas’ writings, but the Summa Theologica just doesn’t make my heart sing the way the writings of the Church Fathers do! 5. 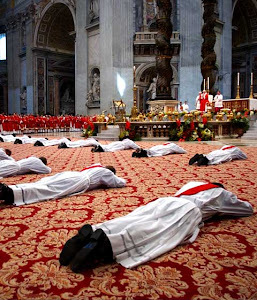 I taught myself to say the Liturgy of the Hours by reading the rubrics…for the most part, anyway; I would also button-hole the local parish priests as necessary! I started off when I was eighteen by saying just Lauds, Vespers, and Compline with a copy of “Shorter Christian Prayer.” Then I was able to add one of the daytime hours when Sr. Mary Blogger gave me her old copy of the regular version of “Christian Prayer.” Finally, when I was twenty, I was able to “graduate” to saying the full, four-volume Liturgy of the Hours when our New York Vocation Director gave me the second-hand breviaries of a local religious Sister who had recently entered into eternal life—and these are actually the same books I use today. 6. My petition to receive the Rite of Consecration to a Life of Virginity was approved just ten days before the Pope came to visit New York. And then I was fortunate enough to attend the Mass for Clergy and Religious in St. Patrick’s Cathedral. I often think of this timing as akin to a small miracle! 3. Dawn Eden stopped writing her blog “The Dawn Patrol” just this past summer (much to my disappointment!) but you can still read her archives for insightful commentary on issues relating to Catholicism vis-à-vis contemporary culture. 4. 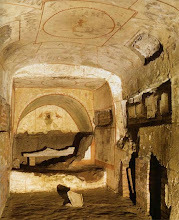 The Redemptoristine nuns of Esopus, New York write the blog “Contemplative Horizon.” Their monastery is located in my archdiocese, and for a long time we had the same Vicar for Religious (who is the one who gave me permission to write this blog—under the condition that I didn’t talk about him! I hope this doesn’t count.) This autumn the posted beautiful photos of the foliage by the Hudson River, which I really appreciated since I’m stuck in Florida for the entire season! 6. I’m sure that the “Gorgeous blog” award button is MUCH too feminine for the administrator of “Roman Catholic Vocations” ever to consider posting. 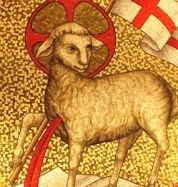 But I think that this is one of the most helpful blogs for people discerning vocations, so I link to it every chance I have. 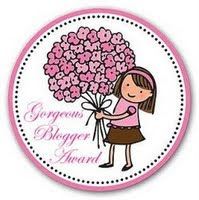 Congratulations Sponsa Christi on receiving the "Gorgeous Blogger Award"! How very exciting and what a wonderful opportunity to promote the needed vocation of Consecrated Virgins. Thank you so much for mentioning and linking our blog. May Jesus be our Everything! This really brightened my day! Thank you! Perhaps we can chat this week? Wow, you're the only other person I know whose patron saint is Ste. Genevieve! It was my grandmother's name too. :-) I finally found a medal, but if I ever found a statue of her I think I'd fall down!